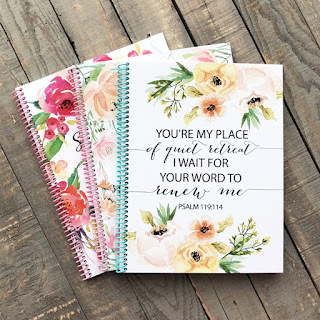 Love these One Full Year Bible Reading Journals $11.99 (Retail $24.99). These FULL YEAR weekly journals are perfect for anyone! They are great for gifts for any occasion and are fit for anyone! Write your daily Bible reading/prayers in this journal! These journals are non-dated, so you can start anytime you would like! $3.99 for the first item and $2.49 for each additional item. US only. Ships no later than Sat, Dec 1.